My Microsoft Surface is a constant companion. It is absolutely central to my workflow. One of the challenges I’ve had with it is battery life. There’s a lot of things you can do to help with your battery life but one simple thing I’ve done, for now, is to set the max CPU when on battery to 99%. Set the on battery to 99%. You should notice the behavior difference fairly quickly on battery. For one thing, when you have Edge running on an ad intensive site or are watching a video your CPU speed will not go nearly as high (on the other hand, it won’t get power throttled to 0.5Ghz either which is a big benefit). Hope this helps. Feel free to comment if you have questions. Great tweak! Do you think this would apply to the Surface Pro 3? Wow, I was just wondering the same thing... Would this work on my Surface Pro 3??? Adding an hour with such a simple tweak is pretty damn clever, Brad. May I ask what the pre-tweak baseline SP4 battery life was day-to-day? You sure you're just guessing? it was about 5.5 hours. mow its 6.5 hours. if i set it tp 33% i can get 10 hours but i notice the perf hit. Thanks! That's about 3.5 hours more than my current laptop, so SP4 likely to happen soon. Well after trying this tweak for my SP3, I can definitely see the improvement in battery life, but more importantly, the fan barely turns on now when doing light tasks. It really is a night/day difference. Works great on my SP4. I like the fact that it keeps the fans off during video runs. Hi, If this is addressed in a future Microsoft update is it possible to remove this tweak? 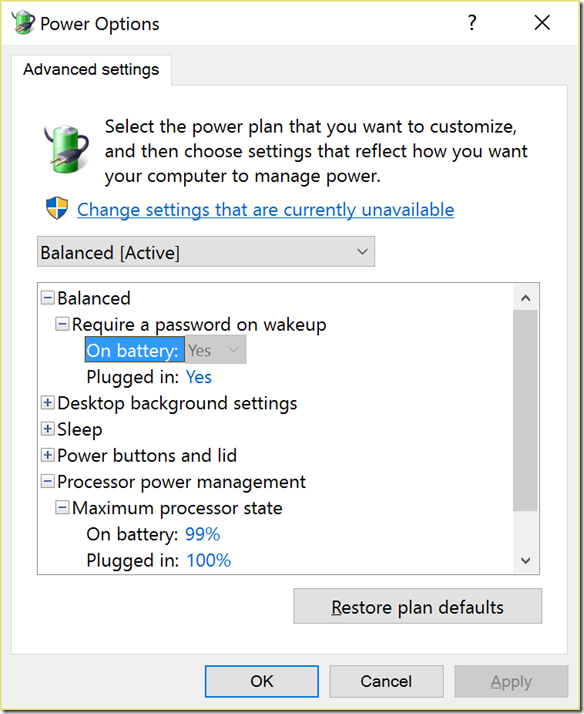 actually if microsoft solve this problem by update, These settings are problematic to update? BTW is the Surface Pro 4 reliable? I read too many awful comments about the unresponsiveness of the screen. I'm hesitating between the SP4 and a VAIO X Canvas for for my artistic work. I need a modular system that can replace a graphic tablet. Quick question: Why does this need a tweak? 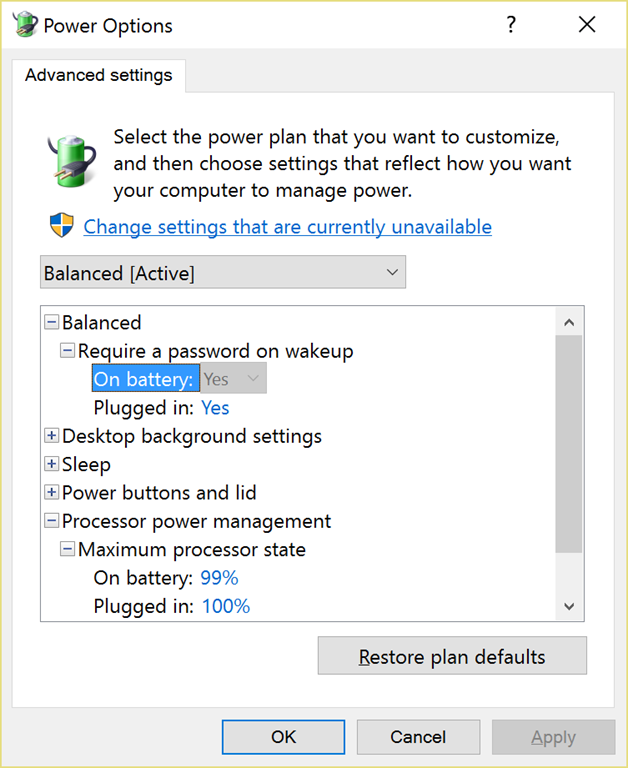 I thought you could set the power settings like that anyway in Windows . Is it disabled in the SP4?